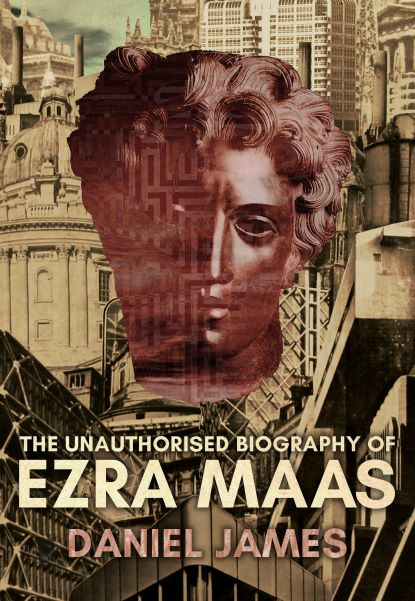 Join North East author and journalist Daniel James at Forum Books this November for the official launch of his debut novel, The Unauthorised Biography of Ezra Maas, published by Dead Ink Books. We hope you will join us, and Daniel, Thursday 29th November, at The Chapel, Corbridge, for what is bound to be a unique and exciting evening, celebrating a talented new voice and a brilliant debut novel. We are delighted to also welcome renowned mixologist Joe Summerfield, who has created two themed cocktails inspired by the book and will be serving drinks on arrival. Doors from 6.30pm for a 7.00pm start. Tickets are available now at £5 which includes a drink.